Diabetes is one of the top killers in America today. Percentages of both type I and type II diabetes have been increasing in recent years, and both forms of diabetes have the same potentially devastating effects. One thing separates diabetes from most diseases, though; if it’s properly managed, the consequences of diabetes can be entirely avoided. As it’s a disease that pertains directly to the food that you eat, managing diabetes well starts with eating right. There is more to it, of course, but adjusting your diet to diabetes-friendly foods can go a long way towards maintaining your health. Gaining popularity in hipster circles as of late, quinoa is actually a fantastic choice for diabetics. It’s high in fiber and protein, filling, and low in carbohydrates. Even better, the proteins found in quinoa will help you process carbs more easily. A common choice in salads and casseroles, quinoa provides an extremely healthy filler to many meals. Diabetics shouldn’t avoid carbohydrates altogether. Before the synthesization of insulin, the only way a diabetic could survive was to not eat any carbs, and even then, they generally wouldn’t last very long. But with the availability of insulin that you can manually introduce to your system, eating carbs isn’t just possible, it’s recommended. Carbohydrates are the main source of energy for the body, so, diabetic or not, if you don’t have any carbs, you will be fatigued and malnourished. Whole wheat breads and other forms of starch that use the whole grain are extremely good for the system, as long as their consumption is managed properly. 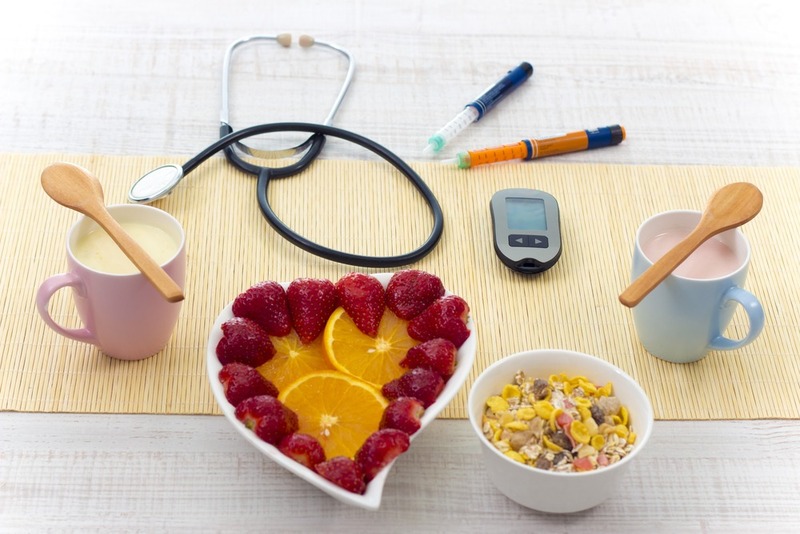 Diabetes and heart disease have a rather large cross-section, since they share many of the same issues, like high blood pressure and high cholesterol. Protein is an important source of the body’s building blocks, and helps to regulate your blood sugar, but too much meat in your diet can introduce too man saturated fats and raise that blood pressure and cholesterol. 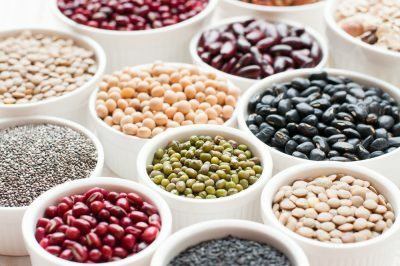 Beans are a great alternate source of protein, and they’re high in soluble fiber to boot. Almost any diet plan will recommend salmon since the fish is extremely high in those healthy omega-3 fatty acids, but salmon is particularly important for diabetics to eat. It is a great source of protein that won’t raise up your blood sugar, and the omega-3 fatty acids are some of the most effective things you can eat for your heart. 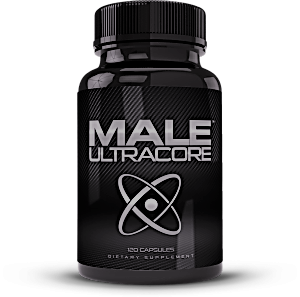 It raises your good HDL cholesterol levels while lowering the bad LDL ones. As a main course, there are few foods that are better choices to incorporate into your diet than salmon. Lentils are an extremely interesting contradiction; they are a starch, but they won’t raise your blood sugar very much. That’s because lentils aren’t as easily digested as other starches. This sounds like a bad thing, but it’s actually a benefit; the bacteria at the end of your digestive tract end up receiving the most benefit. The blood sugar neutral aspect makes lentils good for diabetics, but the boost to your gut health makes them good for everyone. Speaking of a healthy gut, few foods are better for the bacteria in your digestive system than yogurt. It has healthier carbohydrates and high protein levels as well, so yogurt is a crucial part of any diabetics diet. If you want to go for the gold, try greek yogurt, which has even higher amounts of protein and lower amounts of carbs, but if you don’t like the taste, any type of yogurt is still a benefit. Most leafy greens like spinach, kale, or broccoli are really good for diabetic health. They have very low amounts of carbohydrates, along with a ton of other nutrients, like potassium and zinc. Such greens are also solid sources of lutein, a nutrient that promotes eye health. One of the major consequences of unmanaged diabetes is blindness, so anything that leads to healthier eyes is good for diabetics. Few vegetables are higher in healthy fats than avocados. This extremely popular veggie also contains a lot of fiber, and the combination of the two make your blood sugar levels easier to regulate. 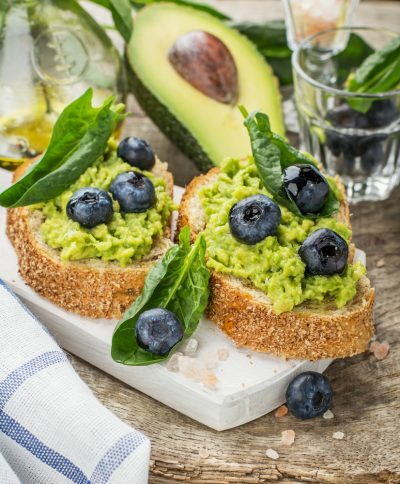 Avocados are also considered a great food for heart health, a necessary cross-section for diabetics. Nobody can avoid sweet stuff all of the time. A lifetime of avoiding sugary foods is enough to drive anyone mad. So what should a diabetic reach for when the sweet tooth strikes? Berries. All kinds of berries, like blackberries, blueberries, strawberries, boysenberries, and raspberries are great for diabetics, because they are relatively low in sugar compared to other sweet options. In addition, berries are all high in antioxidants, which can help prevent the effects of aging as you grow older. All sorts of nuts, like walnuts, almonds, or macadamias, have a few natural advantages for diabetics. They are high in healthy fats, very low in carbohydrates, and they are quite filling. When you just need to reach for a snack, keep nuts on hand to prevent you from eating less healthy alternatives. Olive oil is another option on this list that’s very high in the healthier fats. Many people believe eating fat makes you fatter, but there’s no real science behind that claim. In fact, people who consume healthier, unsaturated fats like the ones found in olive oil are more likely to lose weight in the long run. On top of that, olive oil can lower your bad cholesterol levels, an established danger for diabetics. One issue of living with diabetes is dealing with seasoning. Adding a bunch of salt to foods comes with risks to your heart health, and obviously, adding sugar comes with its own set of issues. Try adding cinnamon when you need to enhance the flavor of foods. Not only will it not raise up your blood sugar levels, cinnamon is also high in antioxidants and can actually help stabilize your blood sugar.